Points in How to Prepare for the Impact on Revenue! what you are going to give away (to friends or charity), what you can sell, and what can be trashed or recycled. 2) Order packing supplies. Make sure you have sturdy boxes in a variety of sizes, bubble wrap and packing tape. 3) Start packing early It’s not too early to start sorting through your belongings and pack the items that you do not use regularly. Seasonal clothes, decorations, books and old files are good places to start, along with the garage, basement and attic. 4) Create a moving file Create a file of important documents relating to the move – contracts, receipts, lists, insurance information, rental agreements etc. Keep a notebook for to-do lists, notes on phone conversations and recommendations from friends. If your employer is contributing to relocation costs, find out exactly how much that will be. 5) Register your change of address You can register your new address at the post office or register your change of address with them online. Make a list of names of the people you need to inform of your new address – friends and family, bank and credit card companies, magazine and newspaper subscriptions, charities and societies. Keep the list somewhere handy so you easily add on names as you remember them. Tips on how to save money while moving… 1. If you are downsizing and moving into a smaller home there is always a temptation to give away furniture you may think you would not need, wait before you do! The last thing you want is to get to your new home and see that you could have used some of your old things and now have to go out and buy new ones. Brand new furniture does not come cheap these days. If you get there and settle and have a surplus then think of giving it away or better yet selling it. Arrange disconnection and reconnection gas, electricity, telephone, internet and cable. 4) Keep school and work informed. Remind your employer that you will be taking time off and if you are moving to a new company make sure your departure and arrival dates are noted. In addition, if your children are moving to a new school, make sure both schools are aware of the changes. Schools should also transfer your children’s records to their new school. 5) Set aside valuables and essential documents. Set aside essential documentation that you will be carrying with you passports, birth certificates, home and medical insurance papers along with your jewelry and other valuable items. 1 WEEK BEFORE 1) Confirm arrangements with Isaac’s. Make sure that you know when to expect the movers and when your belongings will be delivered to your new house. Make sure the movers have directions to your old and new residence. 2) Make arrangements for paying your mover Make sure you know whether you will be paying with cash, money order, or certified check or if your employer is being billed. 3) Plan your meals Decide what you are going to eat for the next week and buy only essential ingredients, so you do not end up with a cupboard full of food to be moved or thrown away. Try to use up frozen and canned food. 4) Put together a travel suitcase. Begin to set aside the essentials you will take with you as you travel to your new home: toiletries, a good book, clothes, pajamas, etc. 5) Put together a supply box. Put together a box of things you will want to have on hand as soon as you arrive – bed linen, towels, coffee machine, some basic flatware and plates and maybe a bedside light. Either carry these things with you or make sure they are clearly labeled and accessible in the movers’ truck. 2. If your telephone, internet and service provider is likely to change when moving to another state you should call the provider sooner rather than later. See what deals they have and also shop around by different providers and see which one suits your needs. The last thing you want to do is get to your new home without any of these services and then buy on impulse. 3. If you are donating anything to charity when moving out of your home then remember to ask for receipts so you can file it with your federal income tax deductions. 4. If you are moving out of an apartment where you paid a security deposit contact your landlord well in advance to arrange for it to be paid back to you. 5. If you think that any items you are willing to part with are of any value be careful not to just give it away before checking it’s value. Have these items “appraised” and see if you could get some bucks for them. 1 - 2 DAYS BEFORE 1) Finish your laundry. Make sure your laundry is done so you can pack away all your clothes. 2) Disconnect equipment Disconnect equipment such as appliances, electronics, etc. and remove bulbs from lamps. If you are uncertain how to do disconnect gas or electricity fittings, call a professional. 3) Defrost the freezer Defrost the freezer, and if you are moving the refrigerator defrost and dry that out for transport. 4) Prepare food Prepare food for moving day or decide to order takeout, then pack away the remaining kitchen equipment. 5) Finish packing See our professional packing guide for details on how to make the process as organized and efficient as possible. 7. Hold a garage sale. If there are plenty of things you’re getting rid of, there could be a chance of you making money from selling these items to the locals in the neighborhood. If you don’t like the idea of selling your things this way then you can try craigslist or ebay. 8. If you are relocating and not quite sure about employment start applying for jobs before you move into your new place. Start off with some temporary work if you can, so you can start making money a lot quicker. MOVING DAY 1) Be on site and available Make sure your cellphone is charged and you are available in case the movers have any questions. 2) Make sure children and pets are supervised Keep an eye on young children and pets so they are out of harm’s way. 3) Take meter readings Take readings in both your old and new houses. 4) Keep bedding somewhere accessible You will want to have bedding at hand so you can set yourself up easily in your new home. 5) Relax Let Isaac’s do the lifting, moving and even the packing for you. End the day with a meal out or takeout in your new home and, relax in the knowledge that Isaac’s has everything taken care of and under control. 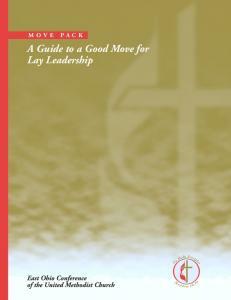 Report "HOW TO PREPARE FOR A MOVE"